I’m a proud, middle-aged Okie who grew up with a solid foundation of science and politics. Recombinant DNA was dinnertime conversation at our house. I enjoyed a lengthy career as a journalist and video maker. 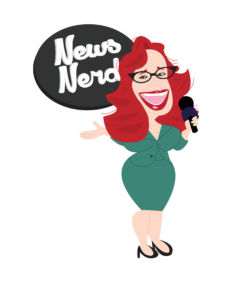 I’m a news junkie and jokingly refer to myself as The News Nerd. Both of my parents were PhDs in microbiology. They worked together at Oklahoma State University, in Stillwater, OK, where I grew up. Mom and Pop worked side by side, so I thought they were equals at work. I did not realize until I was an adult that she had a very low-paying job as his lab assistant. I feel blessed to have grown up in such an enriching environment. 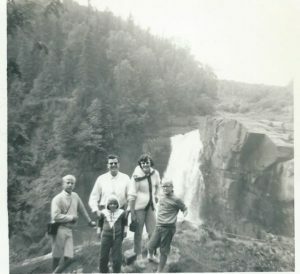 My older sister took this picture on a family vacation probably around 1963. My folks were much more likely to take us to a wilderness area than a city. Our house was full of books and the joys of learning. I grew up with the core belief that intellectual curiosity was one of the most worthy of all human traits. Sound reasoning based on established fact was essential to all manner of thought and discourse, or so we were taught in the Grula household. 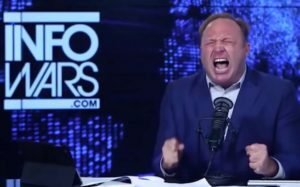 I am convinced that media figures like Alex Jones have zero desire to be truthful. He is one of the absolute worst. He loves to pretend he has all the secret knowledge but I say Jones is nothing but a low-life, sleaze ball con artist. He and his ilk are destroying our country. Today, I am routinely amazed at the world’s lack of sound reasoning based on established fact. I am mortified by how many people feel disdain for science. I strongly believe the scientific method is the only accurate way to evaluate the world. I can’t help but look at the world through science-colored glasses. Trust me, there are lots of advantages to doing so. Today, facts are often thrown out the window in favor of wild speculation and agenda-driven lies. I feel like a large part of the blame for this lies with the sorry state of our news media. I worked in the news media for about 20 years so have a lot of experience with this issue. To counter this disturbing trend, I am committing myself to the creation of information and videos online that will help cut through the crazy situation in America today. 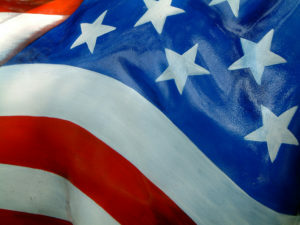 I truly cherish the form of government founded in the American Revolution and the writing of the U.S. Constitution. Today I worry that many of those founding principles have been violated. America is supposed to be about individual liberty, but I believe power has been taken from the people. NOT by things like Obamacare, rather by law and order politics, moneyed interests and corporate power corrupting our democratic processes and therefore our individual freedoms. So many of us are wage-slaves in never-ending debt. One serious illness can destroy us for good financially. We have the highest incarceration rate in the word. Worse than China or North Korea! People are locked up over a plant. (Thankfully that is rapidly changing.) Laws are written by corporate interests, the public interest be damned. The list of problems in this country is long. 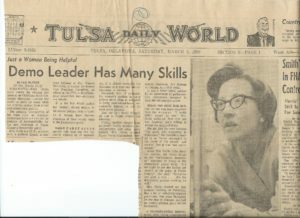 A newspaper article from the Tulsa World about my mother who was both a professional scientist and a political activist. I started with politics early under the tutelage of my amazing and wonderful Mom, Mary Muedeking Grula, PhD. She was a dedicated Democrat and thought FDR hung the moon. One of my very earliest memories in life is clinging to her skirt while admiring the red, white and blue curtain while she cast her ballot for JFK. How well I remember the many hours she spent on behalf of political causes. On the phone and on the street. 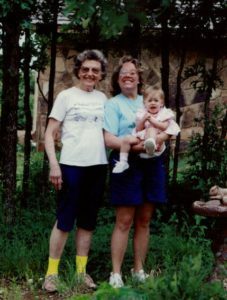 Extremely active in the League of Women Voters, Mom was also the first woman county chairman of the Democratic party in Oklahoma. 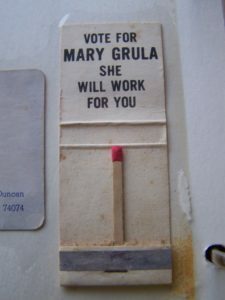 Mom made a gallant run for the U.S. Congress in 1970 when I was in the 7th grade. In the conservative 6th district of Oklahoma, Mamma got whooped, but we all hung on to the pride of her efforts and these awesome matches. I was the only kid at my junior high school whose mom ran for the United States Congress, but I actually had no real idea my mom was so unusual until I got to be an adult. After all, many of friends’ moms were also PhDs. 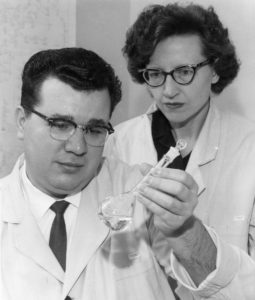 With the university as the bulk of the town, Stillwater had lots of women PhDs. I grew up awfully naive about how unusual that was for the time period. When I was young, I frequently attended political events as a tag along with Mom. This all engendered a lifelong love of politics, but sadly, it also taught me that many politicians are sleazy, lying crooks out for their own interests, not ours. I hate to say, that but it’s true. I am honest enough to say it outloud. The crooks are on both sides of the aisle. 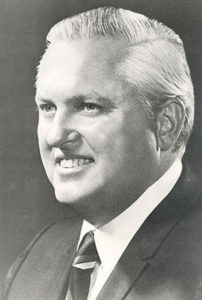 One of the first candidates I actively campaigned for, Oklahoma Governor David Hall, who served from 1971 to 1975, ended up convicted of bribery and extortion. I still remember the jingle he used. DAVID HALL FOR OKLAHOMA DAVID HAAAAAAAALLLLL!!! David Hall, disgraced Oklahoma governor. Not real clever lyrics, but it had a catchy tune. Too bad I can’t sing it for you. David Hall’s downfall came about the same time as the Pentagon Papers and Watergate, two enormous episodes which further convinced me that politicians, and government in general, should not be blindly trusted. As an avid reader and newspaper lover, I grew up believing it was the NEWS MEDIA’S JOB to be the watchdog and expose the misdeeds and corruption of government. While most girls my age had a crush on Donny Osmond, I preferred Walter Cronkite. Yes, I admit to being a hopeless dweeb, but I will never apologize for it. I grew up venerating the news media-the fourth estate- essential watchdog on the government! Oh, weren’t the founding fathers brilliant for including a free press. They knew a king could chop your head off for criticizing him. That would never work for their American experiment. With a Woodward and Bernstein wanna-be complex (and a deep love of the Mary Tyler Moore show) into the news media I went, anticipating a lively career. The Mary Tyler Moore Show had a huge influence on my career choices. This was my favorite show all through high school. 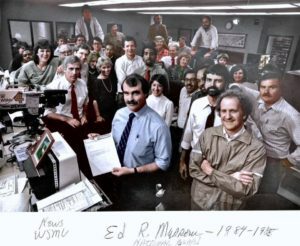 The WSMV-TV newsroom staff after winning the Edward R. Murrow award in 1984. I was lucky enough to be photographer/editor in the Special Projects Unit, which produced long format series and documentaries. I take ZERO credit for the Murrow award, but I sure cherished working in such a fantastic newsroom. WSMV at this time was actually devoted to REAL Journalism. Over the years as new owners took over, that devotion to real journalism sadly faded away. But back when this picture was made, it was an amazing place. I never achieved the heights of Woodward and Bernstein by any stretch of the imagination, but I worked at a higher level than Mary Richards. I’m not sure if I turned the world on with my smile, but I was fortunate to have the opportunity to cover many incredible stories as a TV news field producer, videographer, tape editor and freelance video producer. Most of my career was spent at WSMV-TV in Nashville, Tennessee. I began there as a fresh-faced youngster in 1983. I ended up not covering politics much. Mostly I did science, medical, and social issue stories. That was all fine with me as I loved those topics too. 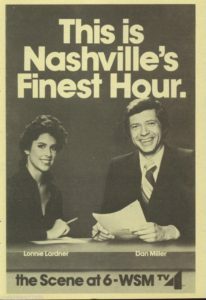 Lonnie Lardner and Dan Miller in a promo for WSMV-TV news. This was probably about 1982. Funny thing, I finally realized political news was low on the totem pole. Most people consider it boring. Go figure! WSMV-TV was, in the early days when I was fortunate enough to work there, a bastion of real journalism. Sadly, that faded over the years due to changes in ownership and management. I promise those quotes are as accurate as my 15-year memory allows. WSMV is now, and was then, owned by the Meredith Corporation. During the years I worked there, four different owners ran the place. The management styles varied wildly and made drastic differences in the integrity of our news content. Meredith began in the magazine business and published titles such as Ladies Home Journal and Better Homes and Gardens. They branched out into local television and currently own fourteen stations all over the country. These folks were all about theater. For example, the investigative reporter was threatened with dismissal because she wasn’t walking in her standups. On top of Meredith’s anti journalism philosophy, the market for real news had simply collapsed. This happened as a direct result of two things: the widespread use of satellite transmission and the rise of public relations disguised as news. U-Matic 3/4 inch video cassette tape. 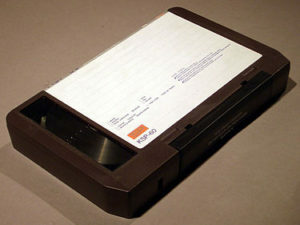 They were much larger than VHS tapes used at home. Let me explain. As an NBC network affiliate, we were always encouraged to share our stories with the network so they could distribute them in other markets. In the early days, we did it through snail mail. We had to pack up a 3/4 inch videotape and wait several days for it to get there. NBC in turn snail mailed them out to the affiliates who wanted them. I loved it because it was getting paid twice for the same work. NBC paid WSMV $1,000 per story back then. The station took $400, the reporter and photographer each got $300. I averaged about a $1,000 per month extra every month. Not bad for taking the time to snail mail a few cassette tapes. Fast forward to the common use of satellite transmission and PR disguised as news. PR firms sent out hundreds of video news releases, (VNR) FREE to anyone who would take them. 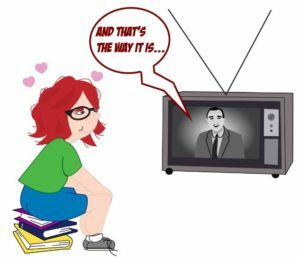 Budget-starved local TV stations all over ate them up: FREE CONTENT! Professionally produced videos of general interest to fill the starving beast known as air time. VNRs, of course, are actually advertisements but the PR industry is quite clever making you think they are legitimate news stories. With competition like that, NBC no longer paid for stories. I still sent mine which became easier using satellite. After I had sent in about twenty, they gave me a baseball cap emblazoned with their logo. So in 1982, I would have been paid $6,000. In 1999, I got a $10 baseball cap and a tacky one at that. And that my friends, is a free market example of how much our society values journalism. For me, journalism is a pursuit of the truth. I am the polar opposite of Alex Jones. The guy makes my skin crawl. I firmly believe that sort of vile behavior has consequences that hurt us all. Lies sell. Truth, on the other hand, usually means someone will lose money. The TV business is for making money. One thing my TV career taught me is that the line, “YOU CAN’T HANDLE THE TRUTH!” should not be limited to one scene in one movie. Most people can’t handle the truth, and the reasons vary. More on that later. Here on this blog, let’s start a dialogue about the news media, science, politics, and any other topic you find relevant. Leave a comment below. Thanks for visiting and here’s to a better world.